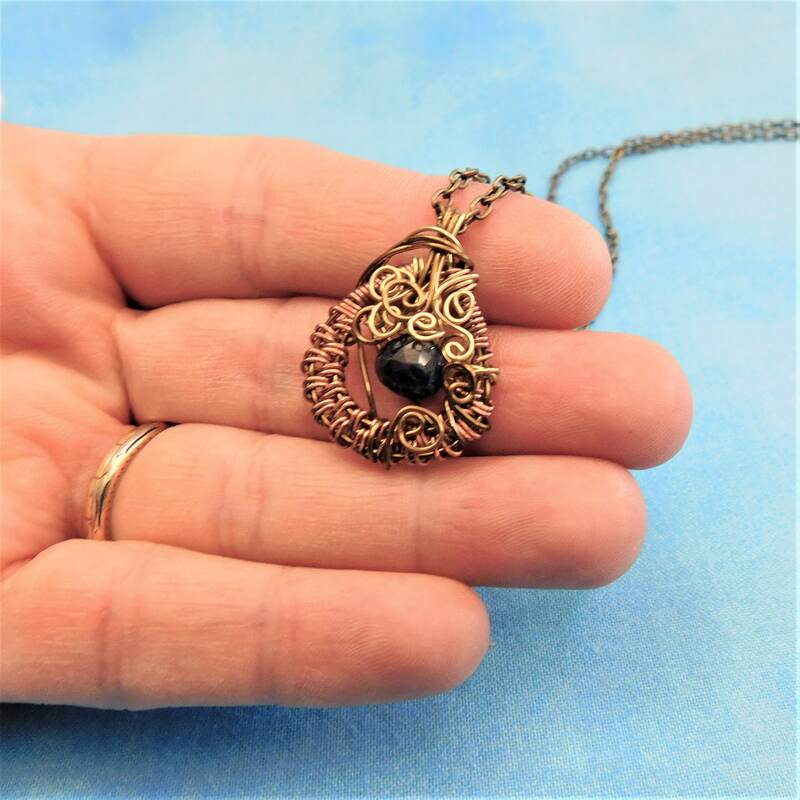 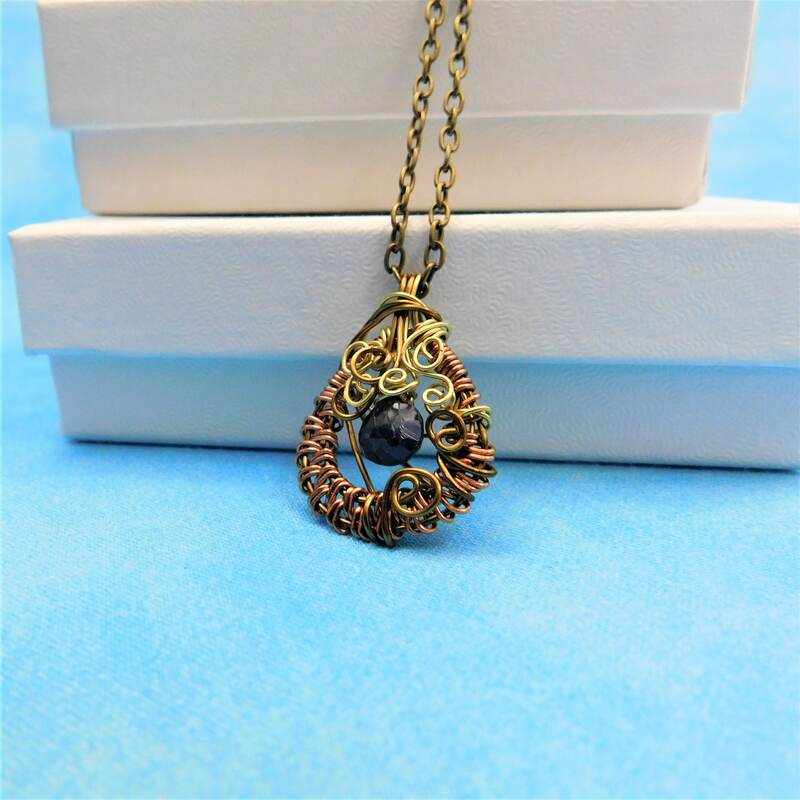 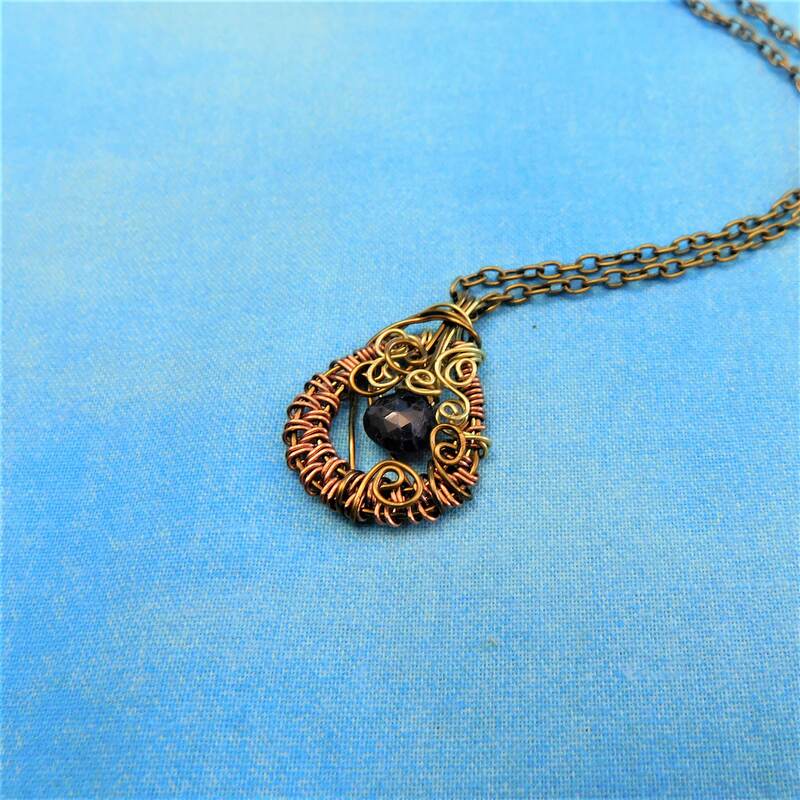 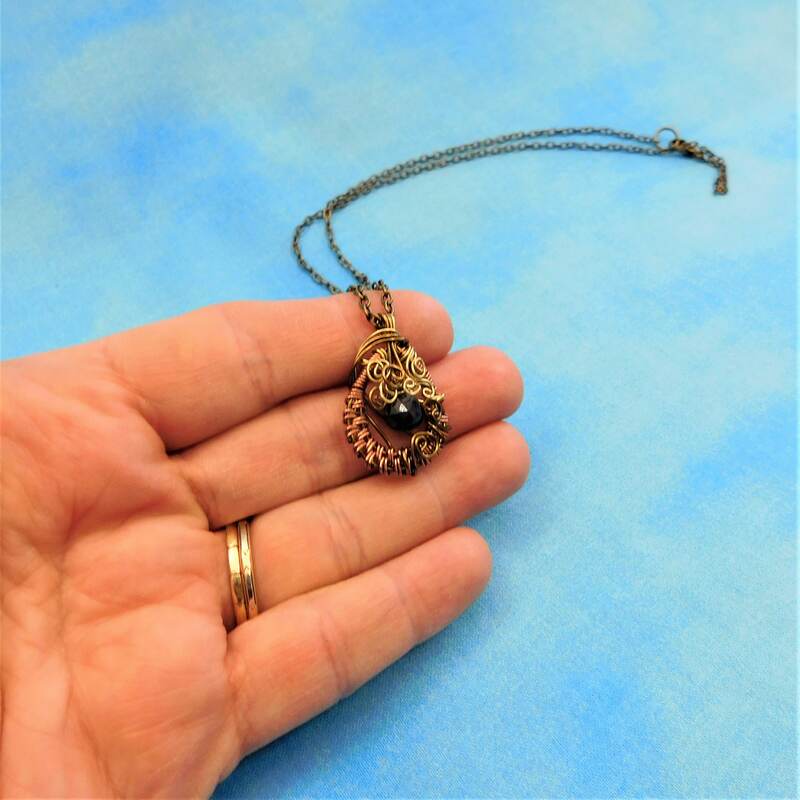 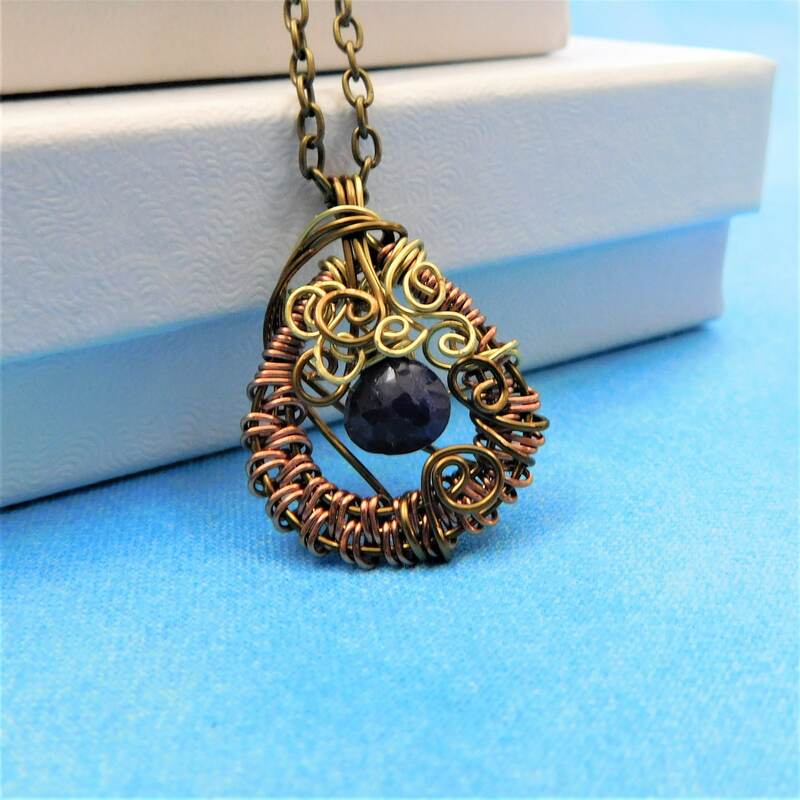 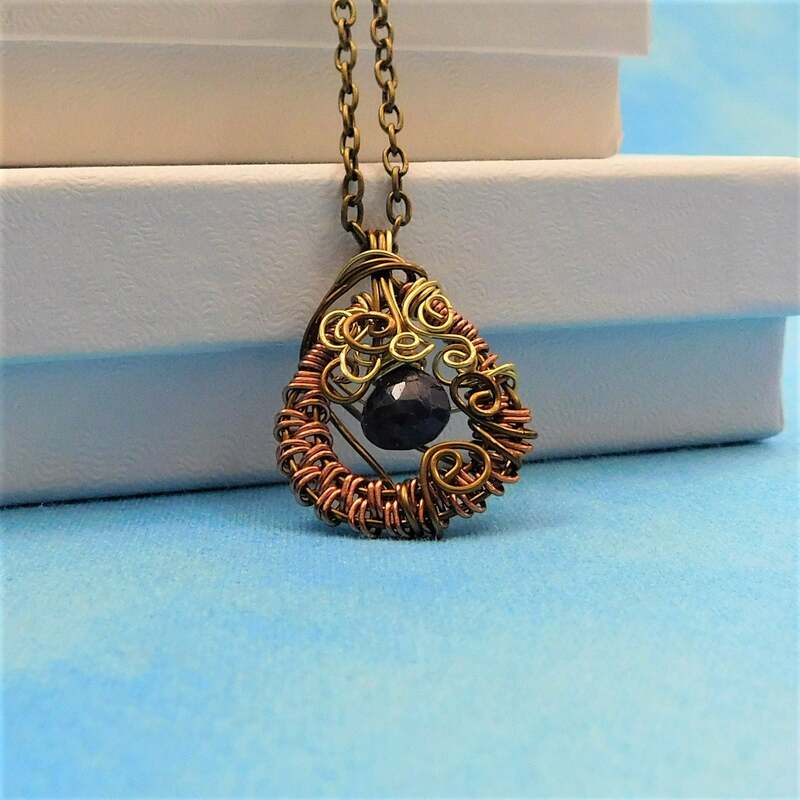 Three shades of copper and brass wire are hand woven and sculpted to frame a genuine Sapphire in this pendant style necklace. 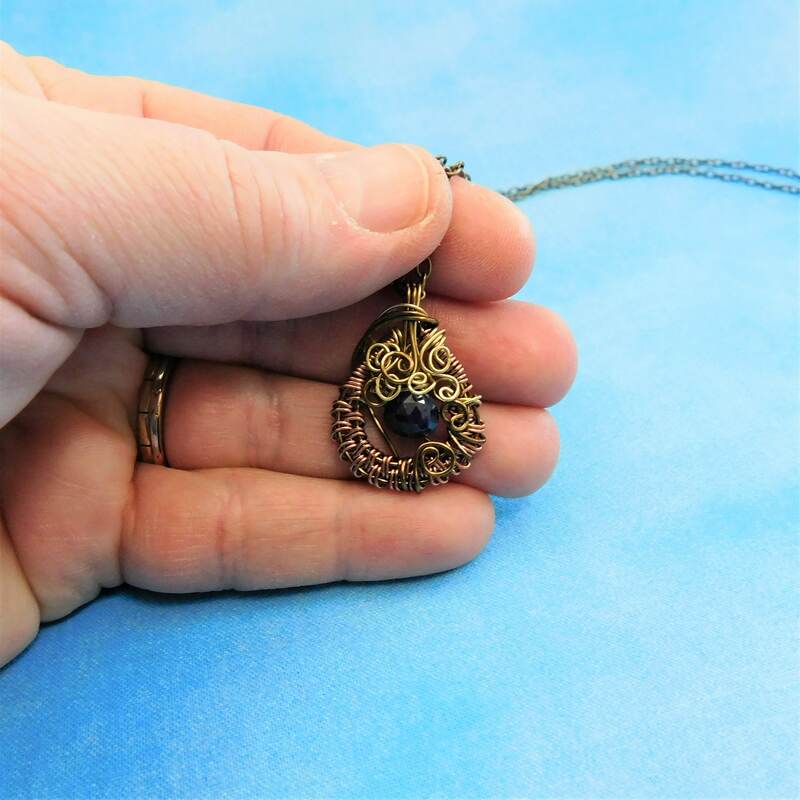 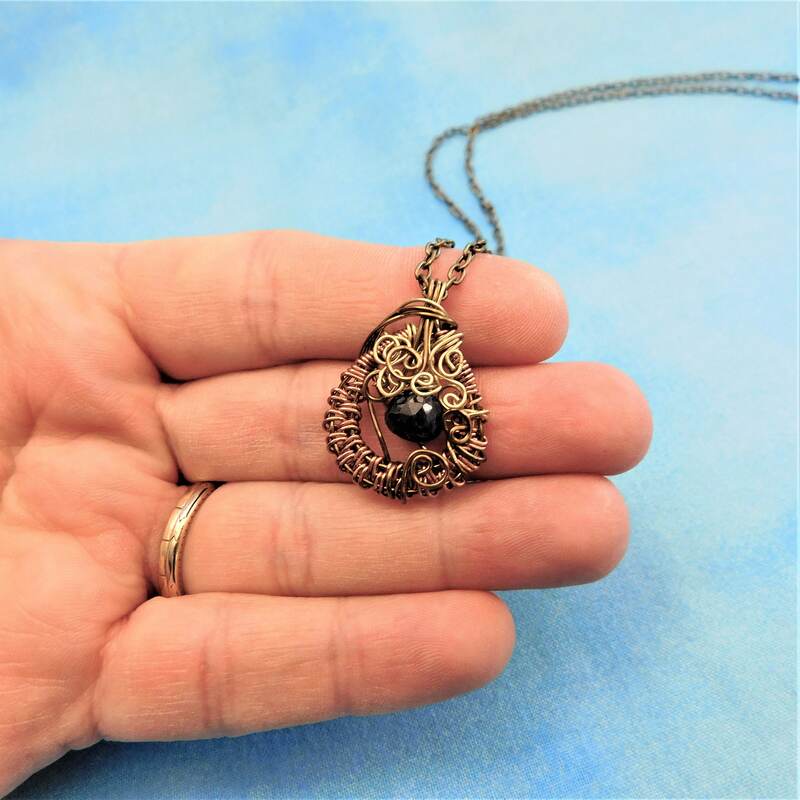 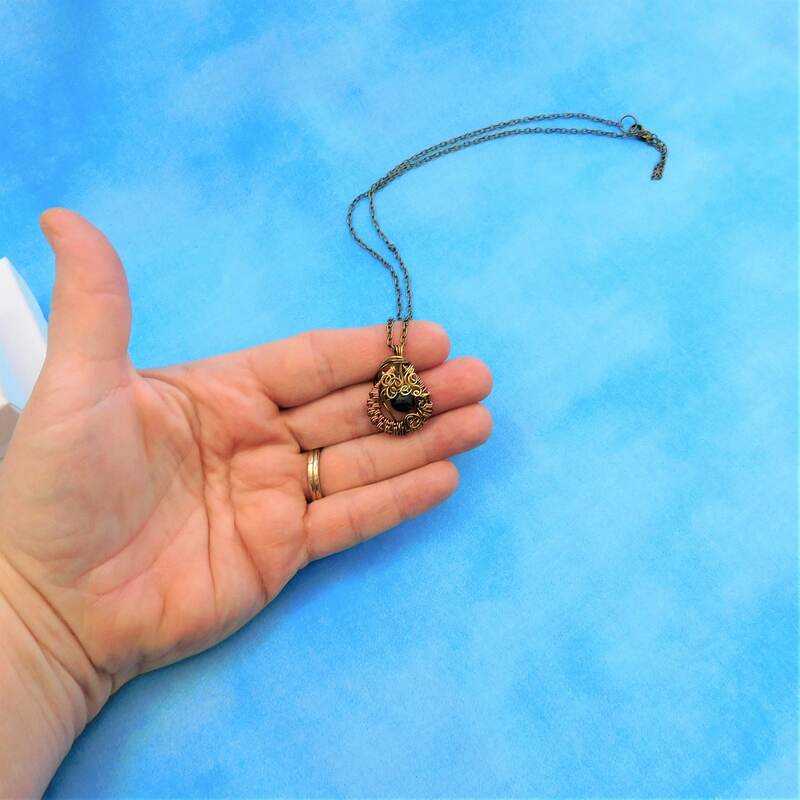 The pendant measures 1 inch by 3/4 inch. 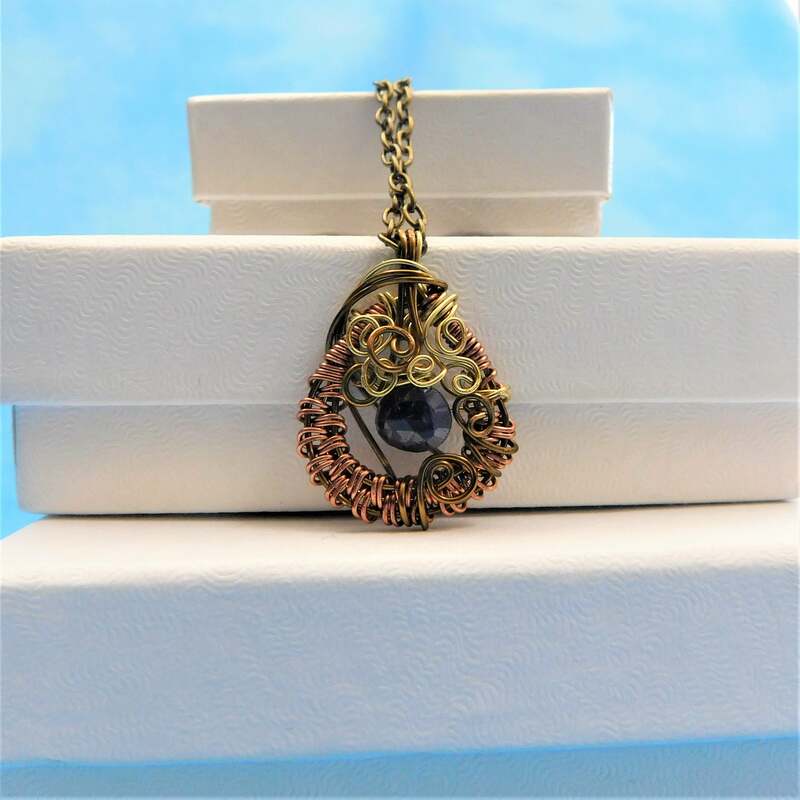 This rustic precious gemstone pendant is one of a kind and a beautiful accent for casual as well as formal wear.